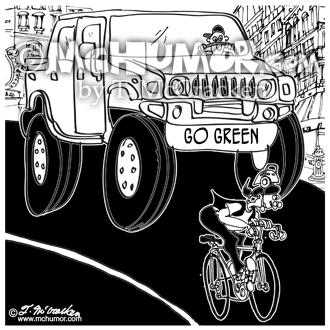 Green Cartoon 8544: A huge Hummer has a “Go Green” bumper sticker. 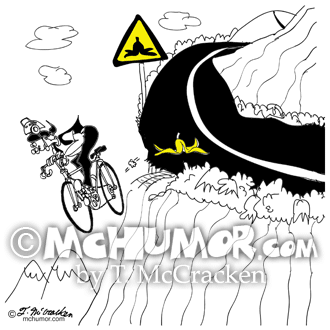 Bicycle Cartoon 9334: A bicycle slips on a banana peal and drives off a road right after a warning sign with a banana peal on it. 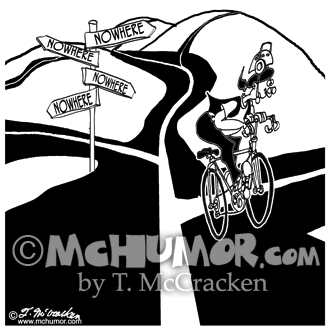 Bike Cartoon 8925: A bicyclist at a crossroads where road sign arrows point in all directions and say, "Nowhere." 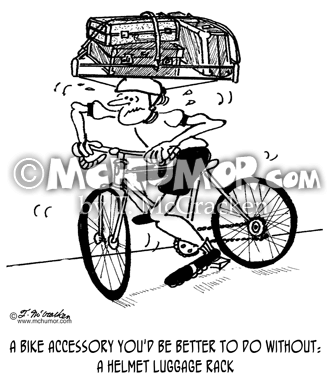 Bike Cartoon 1705: "A bike accessory you'd be better to do without: A helmet luggage rack." 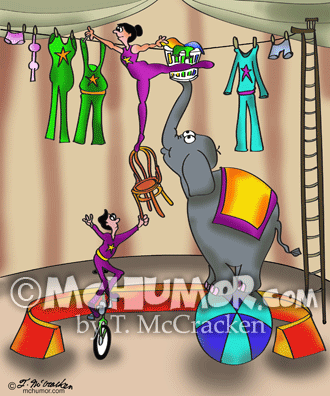 A biker struggles under the weight of all the stuff on his head. 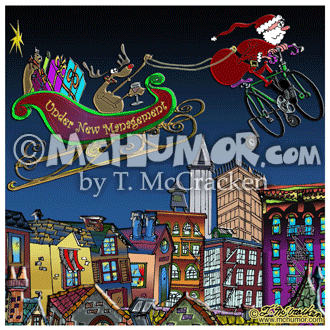 Christmas Cartoon 7829: Rudolph the Red Nosed Reindeer sitting in the sleigh sipping a glass of wine while Santa pulling the sleigh while riding a bike with training wheels. "Under New Management." 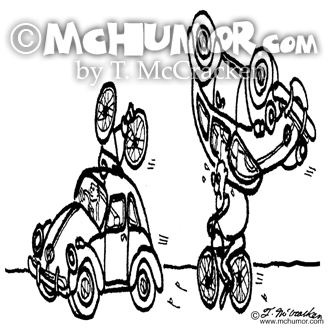 Deer Cartoon 8004: "Deer & Bike Crossing." 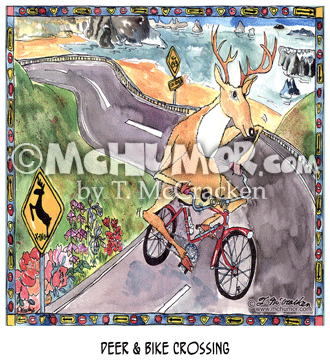 A deer bikes down a road. 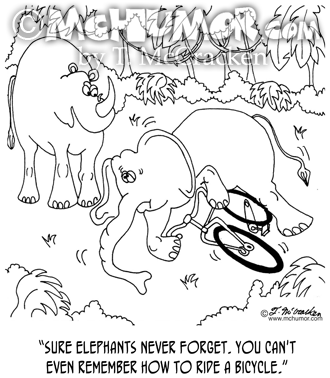 Elephant Cartoon 5351: A rhino says to an elephant that's just fallen off a bicycle, "Sure elephants never forget. You can't even remember how to ride a bicycle." 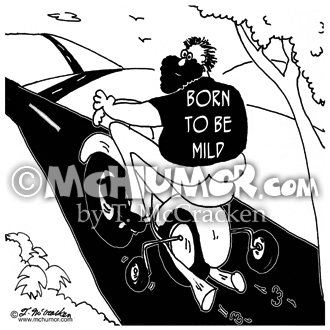 Motorcycle Cartoon 6972: A motorcyclist with training wheels has on a t-shirt that says, "Born to be Mild."